Monday’s decision by LNG Canada to postpone the all-important Final Investment Decision for the Kitimat liguified natural gas project came as a momentary shock—but no real surprise. After the Brexit vote, you could see the hold button blinking from across the Atlantic. Andy Calitz CEO of LNG Canada and a long time, experienced, executive with the lead partner, Royal Dutch Shell blamed the current market conditions for natural gas in both a news release and an investors’ conference call. However, the turmoil in the world economy brought about by Britain’s (largely unexpected) vote to leave the European Union made the postponement inevitable. Immediately after the vote on June 23, when the now not so United Kingdom voted by 52 per cent to 48 per cent, to leave the European Union, financial analysts predicted that given the uncertainty, companies based in the United Kingdom would immediately begin to adjust their long term planning. The stock market has stabilized and reached new highs, at least for now, but the British pound remains weak. Most important, according to reports in the business press around the world, many long term projects by companies not only in the UK but everywhere are being re-examined, postponed or cancelled. All due to the long term uncertainty in world markets. Royal Dutch Shell is one of the world’s largest corporations. It is based in the United Kingdom although its corporate headquarters are in the Netherlands (also a member of the European Union). From June 24 to July 11 was just enough time for the bean counters and forecasters in London, Vancouver, Calgary, Tokyo and Beijing to crunch the numbers and decide that the prudent move would be to put the LNG Canada project on hold. Although both Shell and Rio Tinto are giant transnationals with operations worldwide, the turmoil in the United Kingdom, in the corridors and cubicles of the home offices, is having a psychological and personal, as well as professional, impact, meaning more of the work in those towers of London will be focused on Brexit. 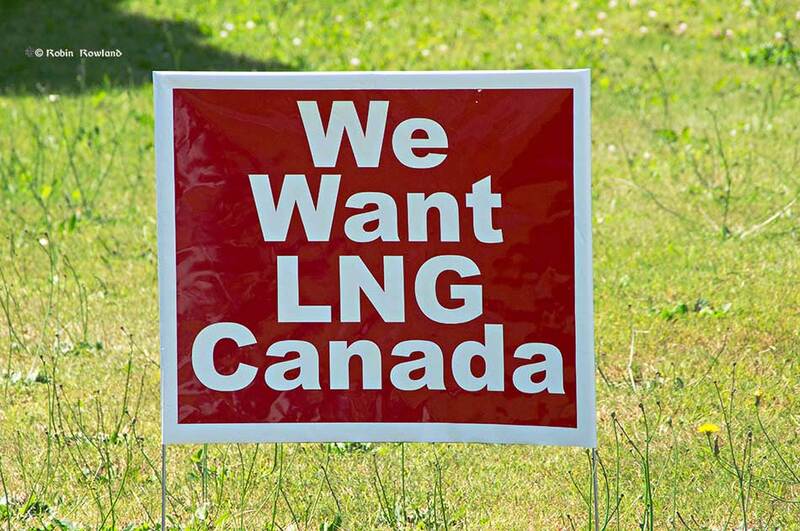 The decision doesn’t mean that the LNG Canada Final Investment Decision will be on hold forever. Of all the world’s energy companies, Shell is one of the oldest and it has a solid reputation for better long term planning than some of its competitors. I can’t say enough about how valuable this support has been and how important it will be as we look at a range of options to move the project forward towards a positive FID by the Joint Venture participants. However, in the context of global industry challenges, including capital constraints, the LNG Canada Joint Venture participants have determined they need more time prior to taking a final investment decision. decision. And the longer Britain drifts, the greater the uncertainty for businesses that could postpone investment decisions until things are clearer, potentially pushing the nation into a recession. The extrication of Britain from Europe will likely be more in the character of the Greek financial collapse, a seemingly endless process where each event and each piece of news has the power to set off a new round of financial fears. And like the Greek crisis, each piece of bad news will compound fears in markets that were nervous for other reasons. So once (and when) Theresa May invokes Article 50 that opens a two year window for Britain to leave the European Union, starting negotiations for Brexit. Then it gets complicated, if Scotland votes to leave the United Kingdom or if Northern Ireland also demands a dual referendum in both the Republic and the North on a united Ireland (as permitted under the Good Friday Peace Agreement). Although May says she will continue to the UK`s next fixed date election, what if May calls a snap general election, with an uncertain outcome, perhaps another minority government, with seats split among several parties, including those who advocate remaining in the EU? The main thrust for Canadian producers is to build more pipelines so they can expand capacity and push ever more of their relatively expensive oil into the world supply chain. If that’s the strategy for high-cost producers, how could anyone think the world’s lower-cost producers wouldn’t be doing the same thing? Brexit is also going to be a problem for London based Rio Tinto—and for the current negotiations with the Unifor local in Kitimat. Rio Tinto’s bottom line is weak because the price of iron ore, its main source of income, has been dropping. After completing the $4.8 billion Kitimat Modernization Project, Rio Tinto is spending huge amounts of money on its Oyu Tolgoi copper and gold and other minerals mine in Mongolia, a project that many analysts believe could provide up to 60 per cent of Rio Tinto profits as commodity markets recover. Add to that US presidential election. Donald Trump has threatened to halt imports of both steel and aluminum into the United States if he actually gets to sit in the White House. On June 29, outgoing President Barack Obama also looked at aluminum at the recent “Three Amigos” summit in Ottawa, noting in the news conference. Given the flood of steel and aluminum on the global markets, however, it points to the fact that free trade also has to be fair trade. That means if Hilary Clinton becomes president, she will also be looking at the state of aluminum imports to the United States market. World conditions are a warning for the Unifor negotiating team in Kitimat. One reason for last year’s prolonged municipal strike was that Unifor spent a good deal of time planning for negotiations with the District but failed to adjust its contract demands when the price of oil unexpectedly collapsed, which meant the District had less money and a lot less flexibility. In its negotiations with Rio Tinto, Unifor cannot make the same mistake again. There were a handful of unexpected layoffs down at Smeltersite on June 30; there could be more layoffs in the future. Mandatory overtime is a major sticking point—but that overtime demand is coming from the bean counters in Montreal and London, calculating that the overtime costs are, in the long term, less expensive than a lot of new hires. Media reports show that Rio Tinto is in tough negotiations with its employees around the world. With LNG on hold, disgruntled employees can’t just turn off Haisla Boulevard to the old Methanex site before reaching Rio Tinto’s property line. That means Unifor should be tough but very realistic in its talks with Rio Tinto, knowing that the powers that be that hold the strings in London are more worried about what Brexit will do to the company bottom line than any temporary shutdown of the smelter by a strike. What does this mean for Kitimat? So the boom and bust cycle once again moves to bust. the Haisla nation has been working to get its people jobs in the construction of the facility and related infrastructure, as well as full-time jobs once the plant opens…This was our first chance as Haisla to be a part of the economy, to be part of the wealth distribution in our area. To witness the wealth generation in our territory for the last six years but to not be a part of it, and now to continue to not be a part of it, is really distressing to us, because we had built up our entire future around this. 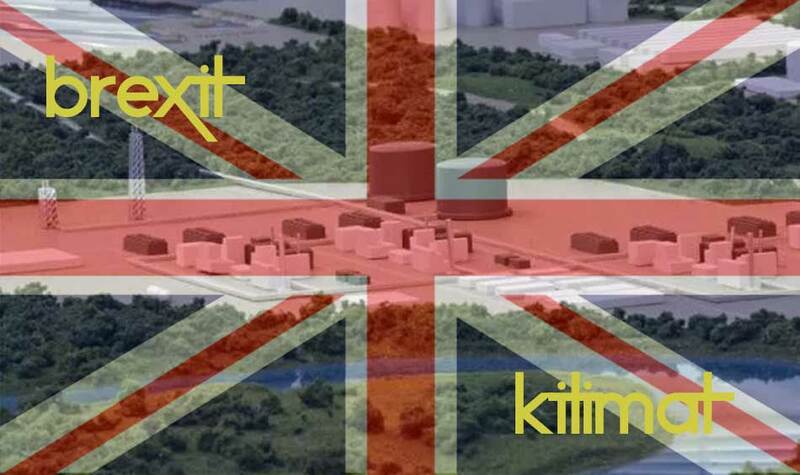 There’s no doubt that there’s going to be a little bit of hurt for a while, but we still fully believe that Kitimat is by far the absolute best location anywhere on the West Coast [for] a major LNG export facility… We are absolutely confident that it will come. There’s time in this bust for everyone in town to recover from the hangover of the past few years of the fight over Northern Gateway and the heady hopes of the LNG rush. Demand for natural gas is not going to go away, especially as climate change raises the pressure to eliminate coal, so it is likely that LNG Canada will be revived. It’s time to seriously consider how to diversify the Valley’s economy, making it less dependent on the commodity cycle. It’s time to stop chasing industrial pipe dreams that promise a few jobs that never appear. Like it or not, the valley is tied to globalization and decisions made half way around the world impact the Kitimat Valley. Who knows what will happen in 2020 or 2025 when the next equivalent of a Brexit shocks the world economy? Suppose, as some here would wish, that all the opposition to tankers and pipelines suddenly disappeared overnight. Does that mean that the projects would then go ahead? The corporate planners would decide based on their projections for the world economy and the viability of the project for their profit picture. Enbridge was never really able to secure customers for its bitumen. Chevron had no customers for Kitimat LNG. LNG Canada is a partnership, and the partner customers in Asia decided that at this time, the investment is too risky, even if LNG Canada’s longer term prospects are good. Promoting tourism should now be the priority for Council, for Economic Development, for the Haisla Nation Council, for the local business. Beyond tourism, it’s time for some innovative thinking to come up with other ideas that would free Kitimat from the commodity cycle. At the moment there are no ideas on the horizon, but unless everyone starts looking for new ideas, practical ideas, the commodity cycle will rule. The National Energy Board has indefinitely suspended its consideration of the $7.9 billion Northern Gateway pipeline project, including the request by Enbridge to extend the deadline for starting the controversial project. The Joint Review Panel conditions had set December 31, 2016 as the time that Enbridge had to start the project. 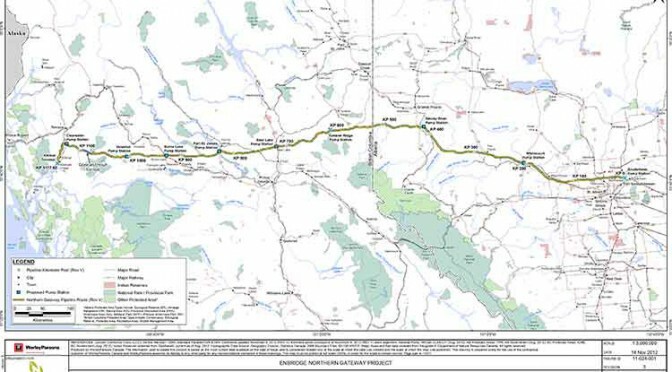 In a letter to John Carruthers, president of Northern Gateway Pipelines, Sheri Young, secretary to the Board said that suspension came after the Federal Court of Appeal quashed the permission certificates for the project. As a result of the decisions quashing the Certificates, the Board is suspending indefinitely its consideration of the application to extend the sunset clauses of the Certificates and is not accepting any further comments on it, including comments from Northern Gateway and AEP. The Board is also suspending indefinitely its consideration of all filings related to the conditions attached to the Certificates. In May the NEB had told Enbridge that is would consider a request by Enbridge to extend the deadline and accept comments from the public until June 27, 2016 and reply comments from the applicants by July 18, 2016. In a decision released on 30 June 2016, the Federal Court of Appeal quashed Order in Council P.C. 2014-809 which is the order directing the Board to issue the Certificates for the Project. The Court also quashed the Certificates. 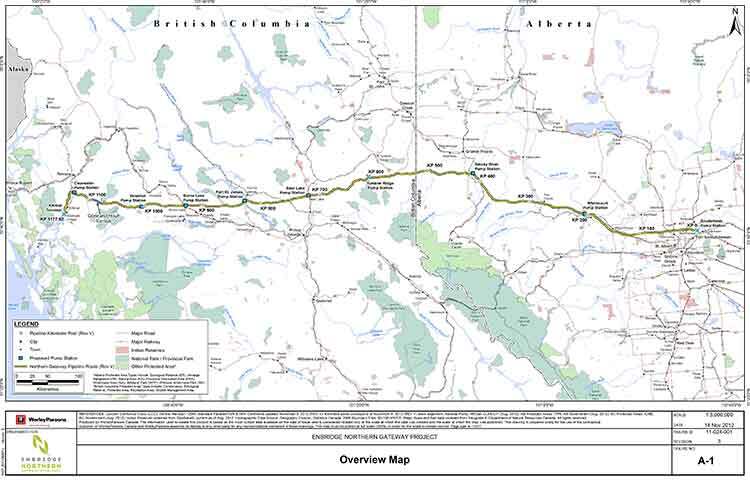 The original Joint Review Panel report in December 2013 had set 209 conditions for the construction and operation of the pipeline, which would have carried oil sands bitumen from Bruderheim, Alberta, to Kitimat, for shipment to Asian customers. We conclude that Canada offered only a brief, hurried and inadequate opportunity in Phase IV—a critical part of Canada’s consultation framework—to exchange and discuss information and to dialogue. The inadequacies—more than just a handful and more than mere imperfections—left entire subjects of central interest to the affected First Nations, sometimes subjects affecting their subsistence and well-being, entirely ignored. The dissenting judge found that the federal government under Stephen Harper had adequately consulted the First Nations. The split decision means that one of the parties, either the federal government, Enbridge Northern Gateway or the Canadian Association of Petroleum Producers may seek leave to appeal to the Supreme Court of Canada. 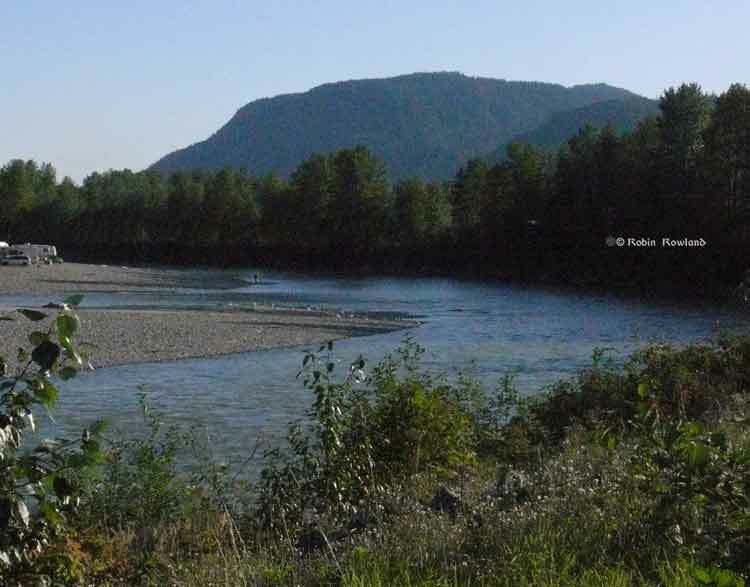 The Environmental Protection Division of BC’s Ministry of Environment is launching a major study of the water quality in the Kitimat valley, first on the Kitimat River and some of its tributaries and later on the Kitimat Arm of Douglas Channel. There has been no regular sampling by the province in Kitimat since 1995 (while other organizations such as the District of Kitimat have been sampling). Jessica Penno, from the regional operations branch in Smithers, held a meeting for stakeholders at Riverlodge on Monday night. Among those attending the meeting were representatives of the District of Kitimat, the Haisla Nation Council, LNG Canada, Kitimat LNG, Rio Tinto BC Operations, Douglas Channel Watch, Kitimat Valley Naturalists and the Steelhead Society. As the project ramps up during the spring and summer, the ministry will be looking for volunteers to take water samples to assist the study. The volunteers will be trained to take the samples and monitored to insure “sample integrity.” Penno also asked the District, the Haisla and the industries in the valley to collect extra samples for the provincial study and to consider sharing historical data for the study. 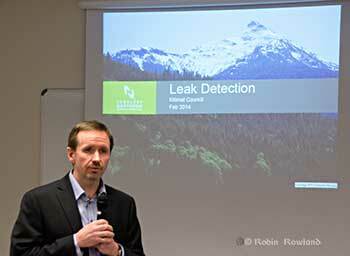 With the growing possibility of new industrial development in the Kitimat valley, monitoring water quality is a “high priority” for the province, Penno told the meeting. However, so far, there is no money targeted specifically for the project, she said. The purpose of the study is to make sure water in the Kitimat valley meet the provinces water quality objectives, which have the aim of watching for degradation of water quality, upgrade existing water quality or protect for designated uses such as drinking water, wildlife use, recreational use and industrial water supplies as well as protecting the most sensitive areas. It also provides a baseline for current and future environmental assessment. (In most cases, testing water quality for drinking water is the responsibility of the municipalities, Penno said. The province may warn a municipality if it detects potential problems, for example if a landslide increases metal content in a stream). Under the BC Environment system, “water quality guidelines” are generic, while “water quality objectives” are site specific. One of the aims is to compile all the studies done of the Kitimat River estuary by the various environmental impact studies done by industrial proponents. The ministry would then create a monitoring program that could be effectively shared with all stakeholders. “You mean, you too?” one of the BC officials quipped as the room laughed. The last time water quality objectives were identified for the Kitimat River and arm were in the late 1980s, Penno told the meeting. 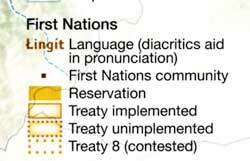 The objectives were developed by the British Columbia government because of potential conflict between fisheries and industry at that time. The objectives were developed for the last ten kilometres of the Kitimat River and the immediate area around the estuary and the Kitimat Arm. “The Kitimat is one of the most heavily sport fished rivers in Canada,” she said. However, the work at that time was only provisional and there was not enough water quality monitoring to create objectives that could be approved by the assistant deputy minister. The main designated uses for the Kitimat River at that time were aquatic life, wildlife with secondary use for fishing and recreation. She said she wants the stakeholders to identify areas that should be monitored at first on the river and the tributaries. Later in the summer, Environment BC will ask for suggestions for the estuaries of the Upper Kitimat Arm. 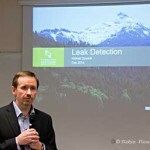 Participants expressed concern that the water supply to Kitamaat Village and the Kitimat LNG site at Bish Cove as well as Hirsch Creek and other tributaries should be included in the study. Penno replied that the purpose of the meeting was to identify “intimate local knowledge” to help the study proceed. After a decade so of cuts, the government has “only so much capacity,” Penno said, which is why the study needs the help of both Kitimat residents and industry to both design the study and to do some of the sampling. The original sampling station in the 1980s was at the Haisla Boulevard Bridge in Kitimat. A new sampling station has been added at the “orange” Kitimat River bridge on Highway 37. There is also regular sampling and monitoring at Hirsch Creek. The aim is to add new sampling points at both upstream and downstream from discharge points on the river. The people at the meeting emphasized the program should take into consideration the Kitimat River and all its tributaries—if budget permits. Last year, the team collected five samples in thirty days in during four weeks in May and the first week in June, “catching the rising river quite perfectly” at previously established locations, at the Haisla Bridge and upstream and downstream from the old Eurocan site as well as the new “orange bridge” on the Kitimat River. The plan calls for five samples in thirty days during the spring freshette and the fall rain and monthly sampling in between. The stakeholders in the meeting told the enviroment staff that the Kitimat Valley has two spring freshettes, the first in March during the valley melt and later in May during the high mountain melt. The plan calls for continued discussions with the industry stakeholders, Kitimat residents and the Haisla Nation. The staff also wants the industrial stakeholders to provide data to the province, some of it going back to the founding of Kitimat if a way can be found to make sure all the data is compatible. One of the industry representatives pointed out, however, that sometimes data is the hands of contractors and the hiring company may not have full control over that data. There will be another public meeting in the summer, once plans for sampling in the Kitimat Arm are ready. Fewer salmon; many more sardines. That’s one of the predictions from a new study from the University of British Columbia, looking at the future of the fishery on the coast. The study concentrates on the First Nations fishery and warns that aboriginal people could face a catastrophic decline in the harvest of traditional species, especially salmon and herring roe on kelp over the next thirty years, a decline that will also have an equally devastating effect on commercial and recreational fishing. The main cause of the decline is climate change and the warming of the coastal waters. 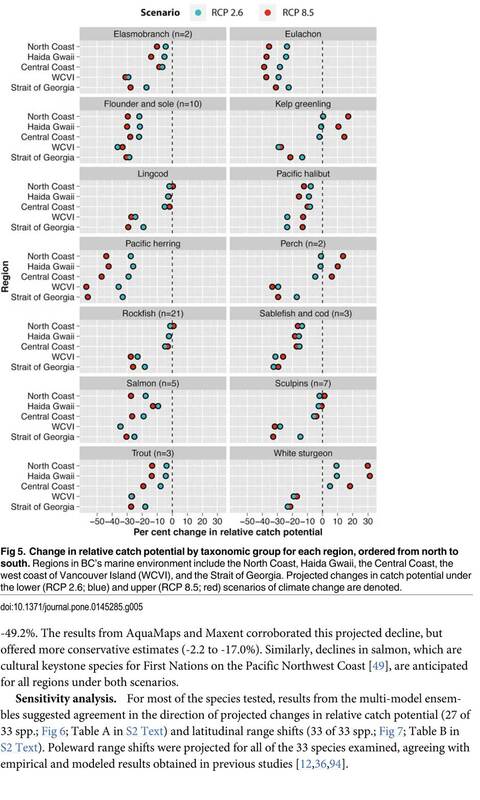 The study projected “modest to severe declines in catch potential” for all current commercial fisheries along the coast. The study says that for the First Nations the between $28 million to $36 million in revenue they got from fishing between 2001 and 2010 could fall by up to 90 per cent depending on how the climate changes. One scenario calls for a decline of up to 40 per cent in chinook and pink salmon. If there is any good news, if you can call it that, the decline will be not as bad in northern coastal waters as it will be the warmer waters near the Lower Mainland and southern Vancouver Island. The range of some species, including salmon, herring, halibut and possibly oolichan will move to farther north along the BC Coast and into Alaskan waters. That means in time the warming waters will also encourage an increase in other species, including sardines and some clams. The study is urging the First Nations and other stakeholders in the British Columbia fishery to start long term planning immediately to anticipate changes in the coming decades. 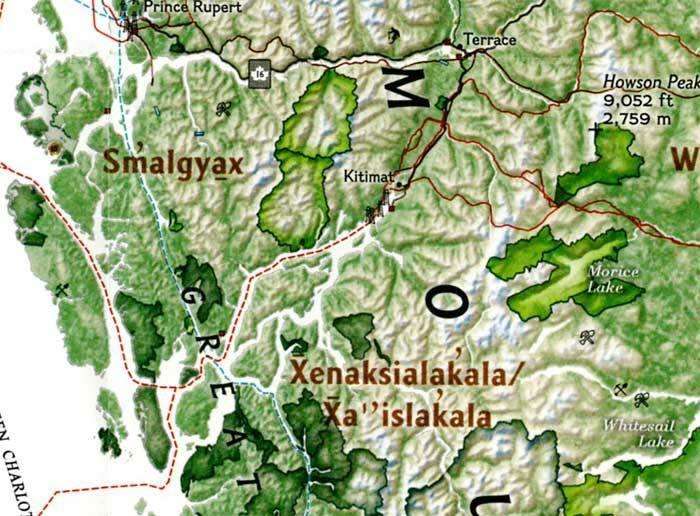 Within those regions 16 First Nations participated in the study, some under their treaty councils, including the Council of the Haida Nation, the Tsimshian Nations Treaty Society (including the Gitga’at at Hartley Bay and the Kitselas and Kitsumkalum near Terrace) and the Maa-nulth First Nations. 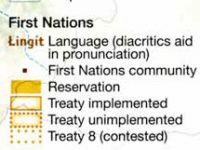 The Heiltsuk First Nation at Bella Bella participated as an independent group. The FNFC’s administrative regions intersect with five distinct ecological regions: the North Coast, comprising the Hecate Strait and Dixon Entrance; Haida Gwaii, which includes the waters surrounding the islands; the Central Coast, including Queen Charlotte Sound, Queen Charlotte Strait, and the southern tip of Hecate Strait; the Strait of Georgia; and the west coast of Vancouver Island (WCVI) . 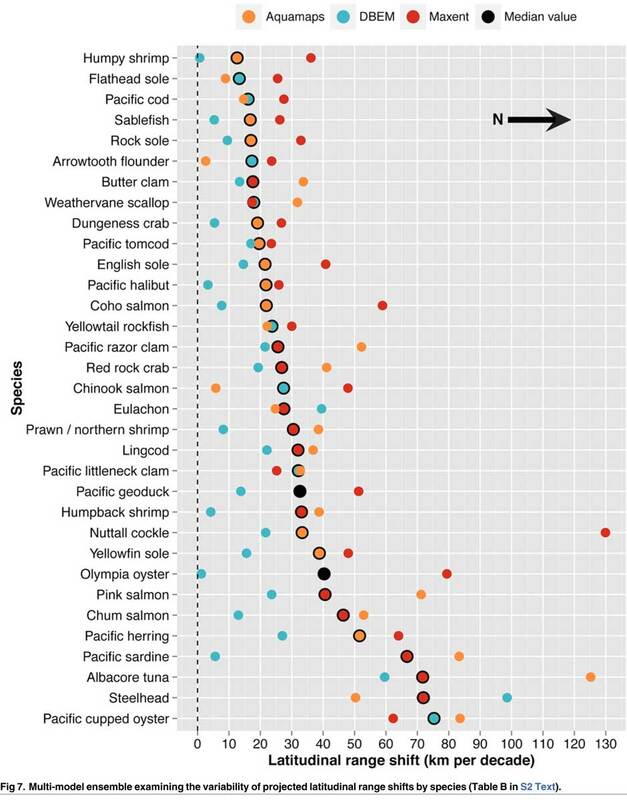 The study says First Nations are likely to be exposed to different climate-related impacts on fisheries due to the differing ecological and biogeographical characteristics of these regions and to differing traditional and commercial harvests. 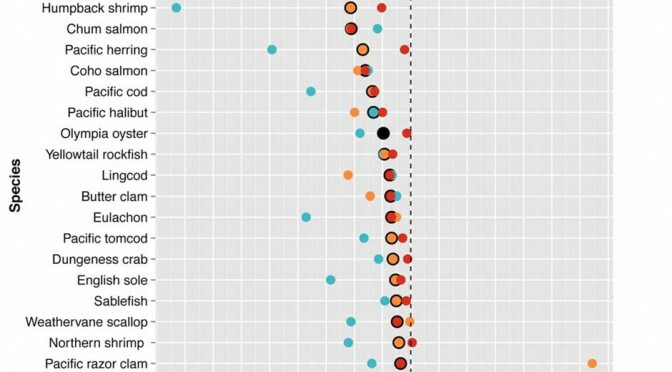 The study used a “dynamic bioclimate envelope” computer model to look at the changes to the distribution and relative abundances of the BC coastal species under two climate change scenarios, a high greenhouse gas model where society can’t curb emissions and a low greenhouse gas emission scenarios, depending on how society is able to curb the increase. The study looked at ocean properties—including sea surface temperature, sea bottom temperature, salinity, oxygen concentration, surface action, and net primary production—using data from the US National Ocean and Atmospheric Administrations’ climate-related earth system model. The study showed that by 2050, there could be declines in 87 of the 98 species in the study. 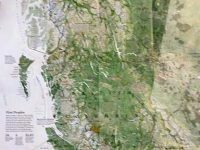 Greater losses in what the study calls “species richness” is likely to occur towards the southern coast of British Columbia, falling primarily between 48°N and 51°N. 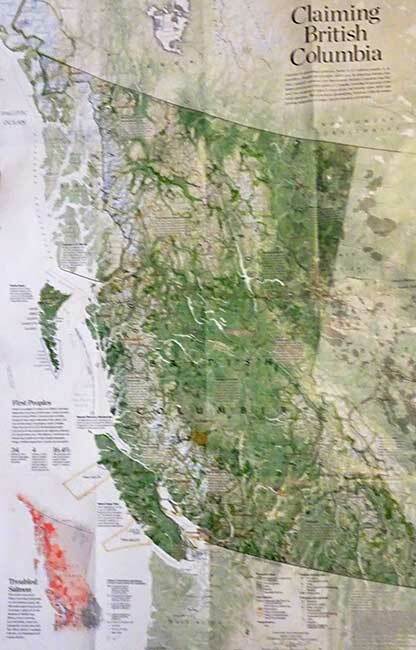 But, overall, species richness along coastal BC will continue—only with different species. 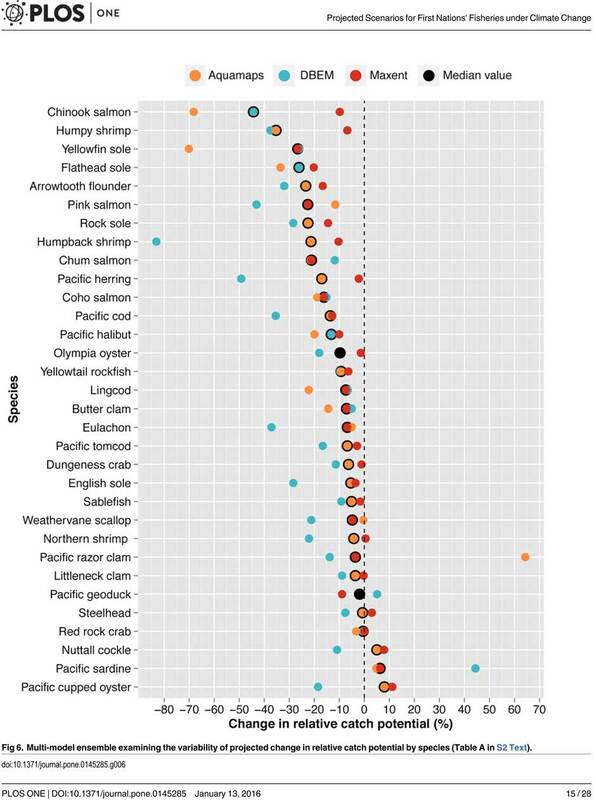 Most significantly the study projects a decline in the overall salmon catch from 17.1 per cent to 29.2 per cent, depending on the region and climate. All aspects of the herring fishery, including roe herring, spawn-on-kelp, and the food and bait fishery could decline between 28.1 per cent and 49.2 per cent depending on the region. The future of the oolichan is the most uncertain. One of the models studied projected a further 37.1 per cent decline in the oolichan, while other models called for for a decline between 5 per cent and 6.8 per cent. That will depend on how well, the oolichan already threatened in most regions of British Columbia are able to adapt to warmer waters or find a way to move their range northward. The study says white sturgeon and Pacific sardines were projected to increase in abundance under both climate change scenarios, while manila clams were projected to increase in abundance by 14.5 per cent in one of the models. The eight remaining species showed little change. The study suggests that the southern territories (Tsawwassen, Tla’amin, and Maa-nulth First Nations) will likely see a reduction in catch potential between -15.2 per cent and -27.8 per cent depending on how the climate changes. On the north coast. The Haida and Tsimshian First Nations and those situated along the central or north-eastern coasts of Vancouver Island (Heiltsuk and ‘Namgis First Nations) would likely see smaller reductions in relative catch for each territory, with estimates falling between -3.2 per cent and -8.2 per cent. The study shows that for the First Nations along the North and Central Coasts of British Columbia (Gitga’at and Haida, and Heiltsuk and ‘Namgis) there will be neutral or positive shifts in catch potential for white sturgeon, kelp greenling, and two species of perch under both scenarios. While varying regionally, both scenarios also suggested either a slight cumulative decline or negligible change in catch potential for clams, rockfish, lingcod, and sculpins across the North and Central Coast. One potential problem the study suggests is that fishers in southern British Columbia may, in the future, try to move north to follow the harvest, leading to potential conflicts. The cost of travel, may, however, discourage that. One of the recommendations from the study is that First Nations revive the traditional clam gardens. Traditional clam beds serve as an ideal example of a method that could be applied to offset climatic impacts through internalized mechanisms, using local cultivation to generate increased productivity by enhancing native habitat rather than redirecting extraction efforts towards other regions or species. Clam gardens constructed in a manner akin to those situated near ancient settlements of the Northern Coast Salish and Laich-kwil-tach First Nations have been found to generate higher clam densities, biomass, and growth rates than non-walled beaches . These benefits were observed for Pacific littleneck clams and butter clams , two clams that are of cultural, economic, and ecological importance to the region Reinstating clam beds in First Nations’ territorial lands has been suggested as a means of simultaneously achieving local conservation and cultural objectives and may thereby provide a politically and ecologically viable option for mitigating climate-related impacts. Management of salmon and herring stocks has been highly contentious due to the myriad of stakeholders who depend upon them, which include First Nations, recreational fisheries, and commercial fisheries…. attaining a state of collaboration between First Nations, DFO, and other sectors has the potential to yield beneficial ecological and political results, if implemented correctly. Parallels exist between First Nations’ traditional fisheries management approaches and “modern” approaches (e.g., spatial management, mariculture, selective fishing, fishing closures), with differences arising primarily due to diverging worldviews. They give an example of how the Nisga’a Nation have ensured their equal partnership in management by employing traditional fish wheel technology to monitor and assess stocks and by leveraging traditional ecosystem-based management practices that could be applied to plan long-term objectives and management approaches. It concludes by saying that joint-management will not only work to reduce the impact of climate change but also head off potential conflict. Through such joint-management regimes, traditional fisheries management strategies could be applied to advance localized research directives and to reduce impacts on stocks under unprecedented environmental change. Moreover, the risk of conflict over declining resources underlines the need to establish common and equitable ground to ensure successful joint management of fisheries, and to leverage collective expertise. The B.C. government acted improperly and “breached the honour of the crown” when it signed away a provincial review and gave the federal Joint Review Panel for responsibility for assessing the environmental impact of the proposed Northern Gateway pipeline, Madam Justice Marvyn Koenigsberg of the Supreme Court of B.C. ruled Wednesday. She ruled the equivalency agreement “is invalid” and said the project cannot begin until a provincial environmental assessment certificate has been issued. “The province is required to consult with the Gitga’at about the potential impacts of the project on areas of provincial jurisdiction and about how those impacts may affect the Gitga’at’s aboriginal rights, and how those impacts are to be addressed in a manner consistent with the honour of the Crown and reconciliation,” Koenigsberg ruled. That may be the final nail in the Northern Gateway’s coffin. The province opposed the project at the JRP because the Northern Gateway had not met the five conditions for heavy oil transport that was set down by the government. The court ruling comes shortly after British Columbia told the National Energy Board that it also opposed the $6.8-billion Kinder Morgan TransMountain pipeline because, at this point, that project cannot meet BC’s five conditions. B.C. Justice Minister Suzanne Anton said the province is reviewing the Supreme Court decision. There are 19 more court challenges to the Northern Gateway and to the Joint Review process, most before the Federal Court of Canada. The Gitga’at First Nation and Coastal First Nations which brought the suit in January 2015 say that the ruling means Enbridge pipeline must now face provincial environmental assessment decision, which includes consultation with First Nations across the province. 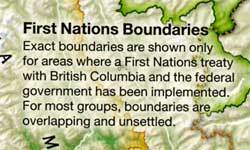 “Approval of the project falls within federal jurisdiction and this decision from the B.C. Supreme Court does not change that approval or the project’s environmental assessment,” said Ivan Giesbrecht, communication manager for Northern Gateway, in a statement to the CBC. Northern Gateway says the federal decision stands, and its still working to meet the 209 conditions set out by the NEB, along with the B.C. government’s conditions. “Northern Gateway and the project proponents, including Aboriginal Equity Partners, remain committed to this essential Canadian infrastructure,” Giesbrecht told the CBC. But among the 209 conditions attached to the approval by the Joint Review Panel Condition 2 said that construction must begin before December 31, 2016. Under Conditions 20 and 21, Enbridge must have secured commitments for at least 60 per cent of the pipeline’s capacity at least six months before starting construction. Koenigsberg ‘s ruling doesn’t official stop the Northern Gateway as some are celebrating. Rather the decision means that British Columbia must set up its own review process and then come to a decision. 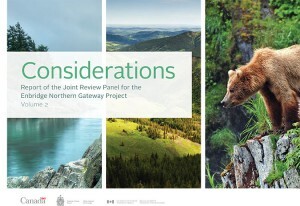 That decision could, in theory, approve Northern Gateway with conditions just as the Joint Review Panel did. The ruling, which is a major victory for the Gitga’at First Nation, means the equivalency agreement is invalid, that the government must now make its own environmental assessment decision regarding the Enbridge Northern Gateway pipeline, and that it must consult with and accommodate First Nations along the pipeline route about potential impacts to their Aboriginal rights and title. “This is a huge victory that affirms the provincial government’s duty to consult with and accommodate First Nations and to exercise its decision-making power on major pipeline projects,” said Arnold Clifton, Chief Councillor of the Gitga’at First Nation. The constitutional challenge was brought by the Gitga’at First Nation and the Coastal First Nations, and was argued by Joseph Arvay, Q.C., (and his colleagues Catherine Boies Parker and Tim Dickson at Farris LLP ) one of Canada’s pre-eminent constitutional lawyers and an expert in Aboriginal and administrative law. The ruling means that, until the province makes a decision on the Enbridge Northern Gateway pipeline and issues an Environmental Assessment Certificate, none of the approximately 60 permits, licenses and authorizations necessary for the project to proceed can be issued. The British Columbia Environmental Appeal Board has upheld Rio Tinto’s plans for sulphur dioxide emissions in the Kitimat airshed and dismissed the appeal from residents Emily Toews and Elisabeth Stannus. The 113 page decision was released by the EAB late on December 23. It contains a series of recommendations for further studies and monitoring of the health of Kitimat residents. In effect, the EAB is asking the province (which is all it can do) to spend money and create a new bureaucracy at a time when Kitimat’s medical community is already short staffed and under stress. By December 31, 2016…. engage with Ministry executive to secure their support for, and action to encourage, a provincially-led Kitimat region health study, based on the development of a feasibility assessment for such a study. Based on the evidence and submissions made by each of the parties, the EAB confirmed our permit amendment. Although it is welcome news for Rio Tinto that the MOE Director’s decision was upheld, and the rigor and cautious approach of the science were confirmed by the EAB, we also recognize that there is more work to do to address community concerns regarding air quality in the Kitimat Valley. In providing their confirmation, the EAB included a series of recommendations. Over the coming months, we will be working to fully assess them and we will continue to involve the local community including residents, stakeholders and our employees as we do so, noting that some of the recommendations have already started to be implemented. I would like to take this opportunity to thank the residents of Kitimat, our valued stakeholders and our employees for their support during this process. At Rio Tinto, we are committed to protecting the health and well-being of our employees, the community, and the environment as we modernize our BC Operations.